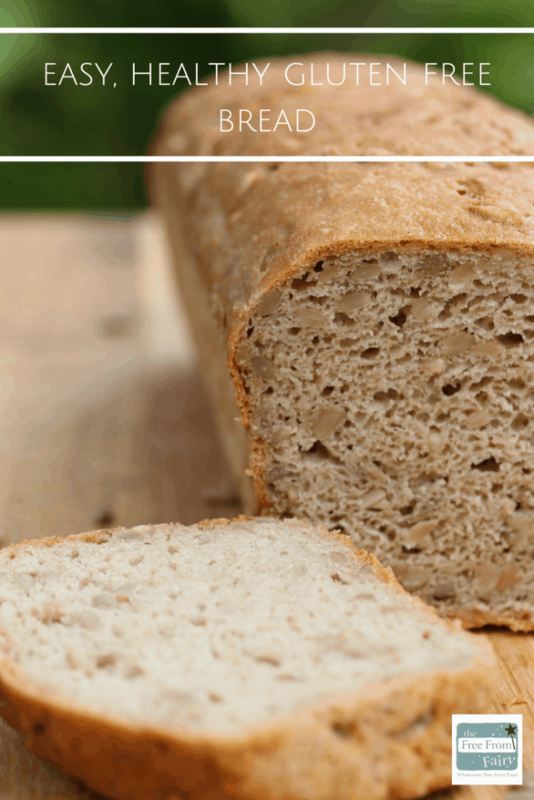 Fabulous chef Tina Bricknell-Webb has created this healthy gluten free bread recipe using my wholegrain gluten free flour blend. 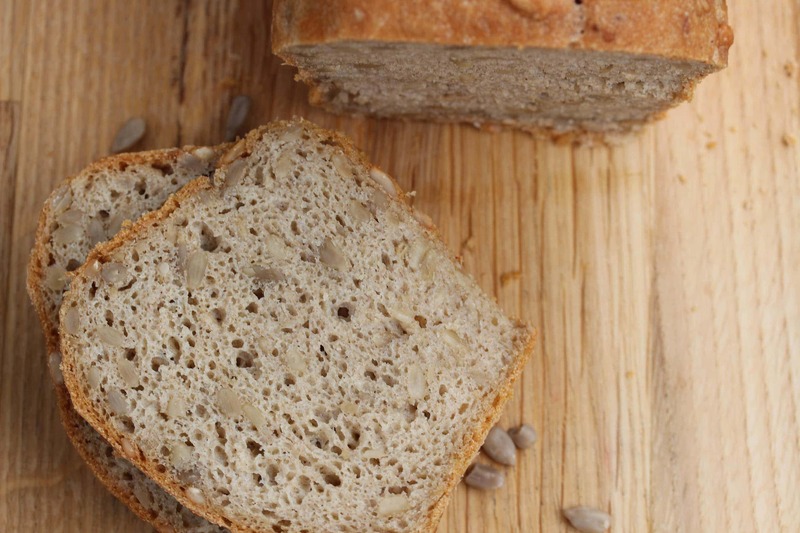 It tastes wonderful and is full of protein and fibre with the addition of seeds. Tina is head chef at Percys Country House Hotel here in Devon. A few years ago I wrote about her incredible hotel and ability to cater for an endless list of dietary requirements. Seriously, nothing is too much trouble for Tina. If you have a restricted diet then Tina will be able to cater for it, and with love and passion. “The wholegrain gluten free ‘Fairy’ flour blend created by Vicki Montague is simply brilliant. Not only does it deliver superb and very consistent baking results, it is flavoursome, nutty, delicious and, being wholegrain, healthy too! I do love buckwheat, in my opinion a very underused ingredient. It is actually an Asian plant of the dock family, producing starchy seeds. When milled into flour, these seeds add great flavour – traditionally used for blinis, (buckwheat pancakes to accompany caviar), Vicki has harnessed the great potential of these seeds in her flour blend. Teff and sorghum also add a depth of flavour. Along with wonderful food, you can be guaranteed one other very special treat when visiting Percys. Years ago when I went to stay I saw the evidence of these industrious creatures, but not the actual animal. 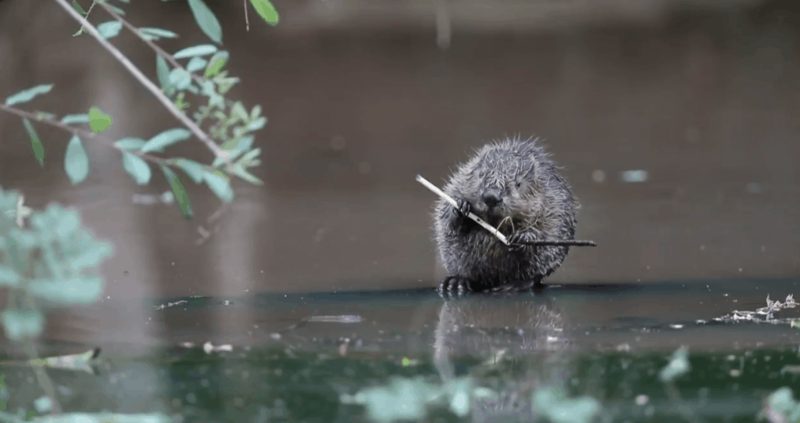 It is fascinating to see how much work wild beavers do. They were absent from England for at least 500 years and now Devon has become a hot spot for them with a colony living on the River Otter not far from where I live. 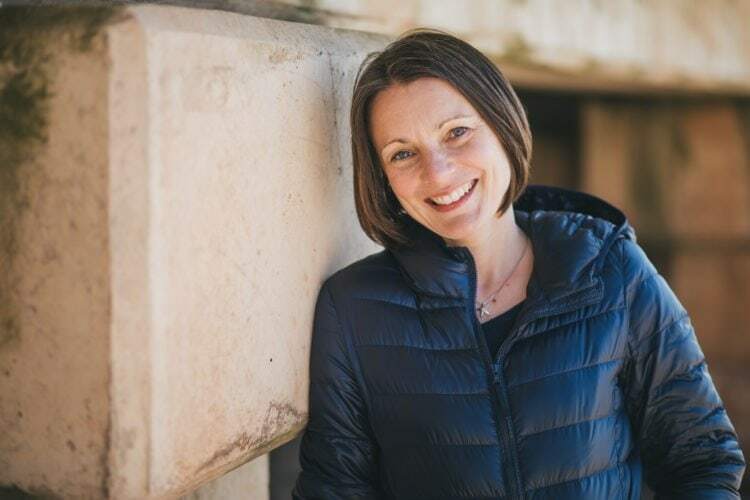 If you’d like to stay at the hotel and see the beavers yourself then Tina is generously offering £100 off a 3 night stay booked online up until 31st October 2018. All you have to do is enter KITTS when you book online here. 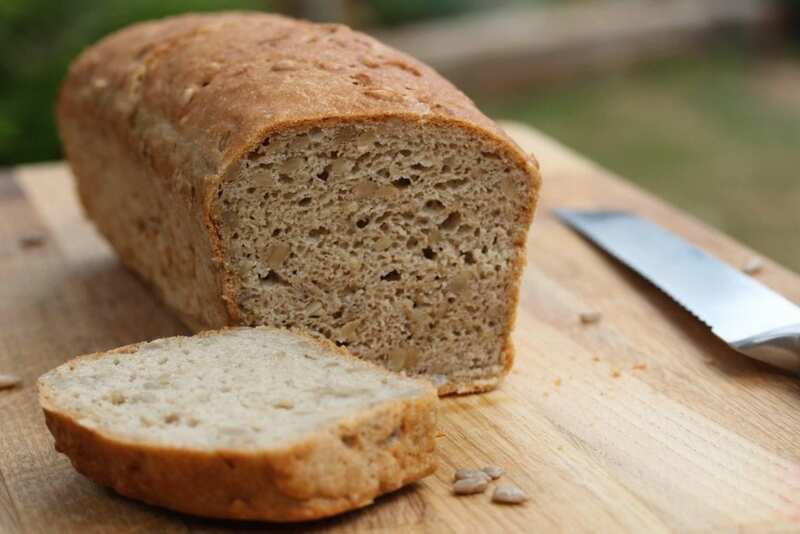 Tina has created this bread recipe with my wholegrain plain flour blend. It’s nutty from the sunflower seeds and delightfully moist and light with the inclusion of egg white. My flour blend adds wholegrain goodness, protein and fibre. 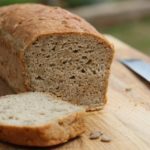 If you are new to gluten free baking or often have baking disasters then this post about gluten free flour will help you. Gluten free baking is not like baking with wheat flour. You cannot replace wheat flour with one gluten free flour. Instead you need to use various gluten free flours or a flour blend to recreate the properties of wheat. I explain why gluten free flour is so important in this article. Tina, being a chef, creates recipes that feed way more people than the average household would require. I’ve therefore divided the recipe she gave me by four. This creates one small loaf of bread that bakes perfectly in my recommended loaf tin. It’s the perfect tin for gluten free bread because it’s tall and narrow. Gluten free bread doesn’t have the structure of ‘normal’ bread and therefore needs supporting as it rises. If the bread rises above the tin, it generally leads to an overflow rather than a nice domed top. This loaf tin prevents this because it is tall enough to allow the bread to rise but not overflow. You can see the dome on the top of the bread which is often hard to achieve with a gluten free loaf. Tina’s recipe is all measured in grams, including the egg white. I used just over one medium egg to get the 63g required. Separate the eggs and then weigh out 63g. Use the leftover egg yolks and white in a scrambled egg or omelette. Alternatively add them to a cake to add extra richness or make my Easter biscuits. If you like this recipe and would like more simple gluten free recipes then sign up for my free recipe book below. In it you’ll find recipes for gluten free pastry, bread, pizza, Yorkshire puddings, Victoria sponge, pancakes and gingerbread. Great recipe, a bit of a struggle with the egg whites and what do I do with the yolks? I presume that the ladies can cope better with these problems better than a 77 yr old man who is new to preparing gluten free food, but I’ll get there one day, god willing. 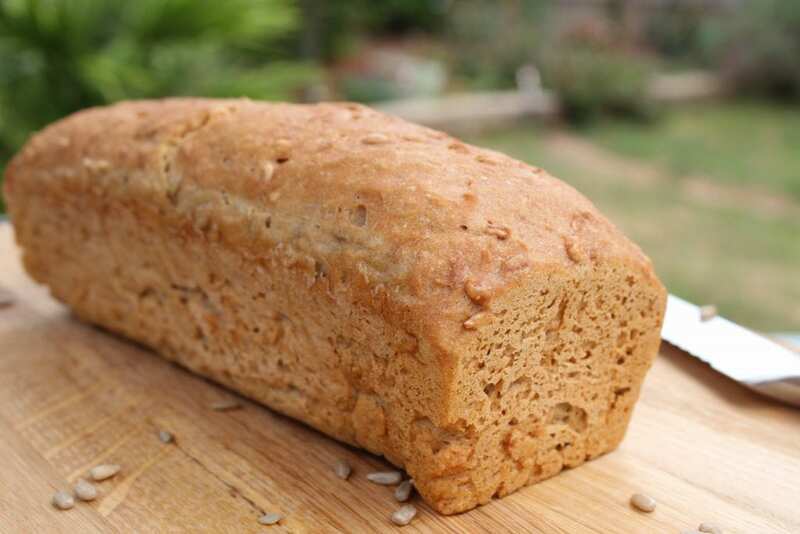 Hi Alwyn, sounds like you are doing an amazing job as you’ve tried making gluten free bread! Hats off to you. This recipe isn’t actually one of my own. It was created by a chef who lives locally…and I guess chefs have lots of uses for ‘spare’ egg parts. I always try to create recipes that don’t leave ‘spare’ parts!! By the way…you can freeze them and use them at a later date. I have them scrambled with another whole egg. I used a pullman sandwich tin with lid and it was great bread. Best one I handcrafted yet so thank you. Oops, I just posted a recommendation for this loaf but realised it is not this one I baked. 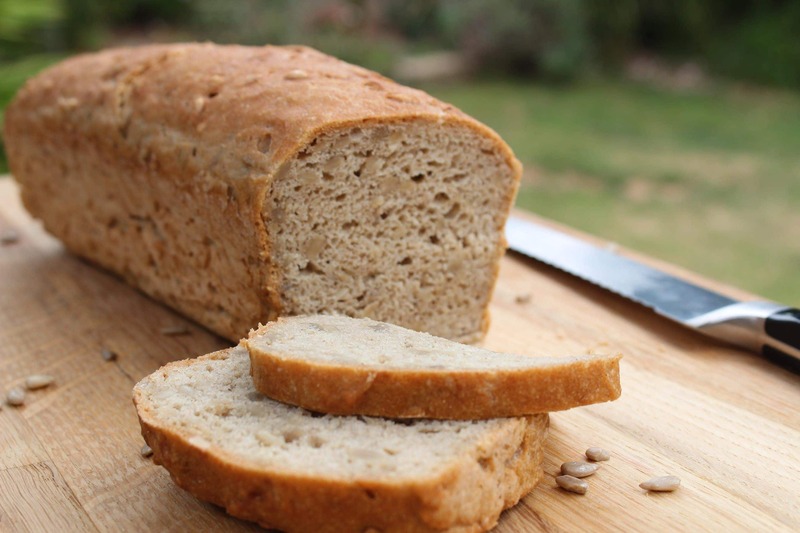 I baked the whole grain loaf from your free download which I see is different as this one only uses egg whites. The other one from the download was lovely. Try using the pullman loaf tin, whilst you don’t get the doom on the top, it does make a great loaf. As soon as it is finished baking, remove from tin otherwise the steam makes it a little soggy.